You've been noticing a problem, lately. Everyone is on their phone...all. the. time. Yep, pretty much! At dinner, at work, on the subway, even in the bathroom—get it together, people! Yesterday, you were walking down a busy downtown street, and every other person was bumping into you because they were looking down at, you guessed it, their phones! Surely there must be a way we can stop using these devices so haphazardly, you thought as you ordered your morning cappuccino. Then suddenly, sitting over the foamed milk and inspirational scent of fresh coffee, it hit you: Our hands are the problem. If we simply couldn't use them most of the day, we'd be able to break our addiction to these devices. It seemed a simple solution, almost too simple. And crazy...but maybe just crazy enough to work! We're on board! 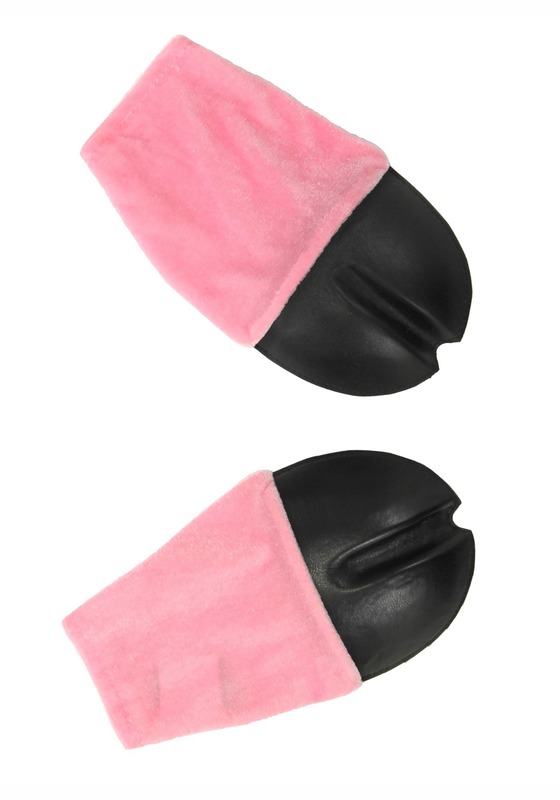 And we think we have a fast, easy solution: these Pig Front Hooves Costume Gloves will instantly reduce the public's ability to walk around, using their devices. 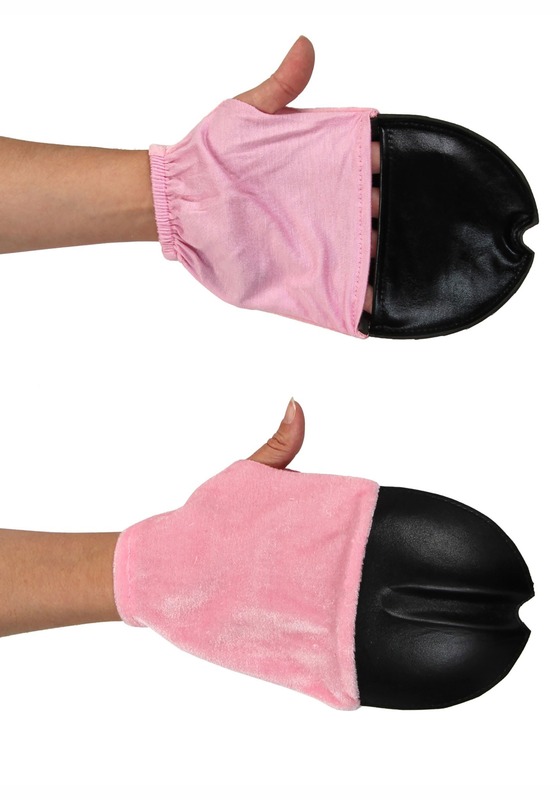 Easy to slide off at work (for productivity's sake) and pretty darn cute, to boot, we think these gloves may become the next big thing in mindful fashion. Plus, they're super helpful if you need to finish off a piggy Halloween costume, in case the trend doesn't catch on. We think your idea may revolutionize the world—and bring a whole new meaning to the phrase, "Pig out!" Now, the term can mean "to remove oneself from one's mobile device and concentrate on the present." Cool!